Interested in developing games for the Amiga? Are you interested in developing games and applications for the Amiga? If yes, then the Amiten Software group might be of interest to you. 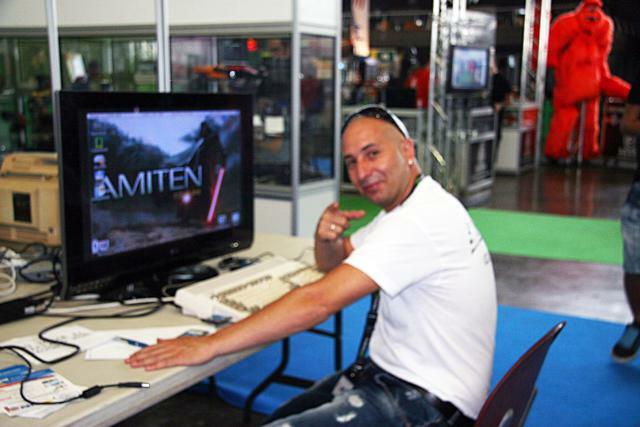 Amiten Software was started by a single person, namely Johnny Acevedo a.k.a Amit. The basic idea is to bring together Amiga developers from all corners of the world, so that they can co-operate on creating games and applications. The target platforms are both classic and next generation Amiga systems. It’s worth mentioning that the Natami will be supported as well when it is released. Let’s wish Amiten Software the best of luck! Interesting. I will have a closer look at it. A new member has come to our project because of its news. That’s great news! 🙂 Glad to see that it helped! Keep up the good work!